This week, the abortion facility we pray at is closed for an undetermined reason. 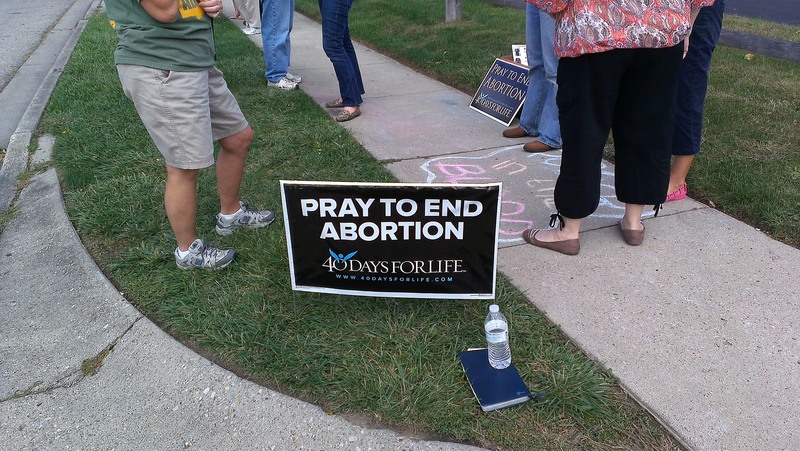 During our local 40 Days for LIFE vigil we PRAY HARD for things like this to happen. Of course we want a total closure of all facilities but these tiny steps prove that God is in control and that faithfulness and obedience to God makes miracles happen! Even though the facility is temporarily closed does not mean it can’t be bathed in PRAYER. 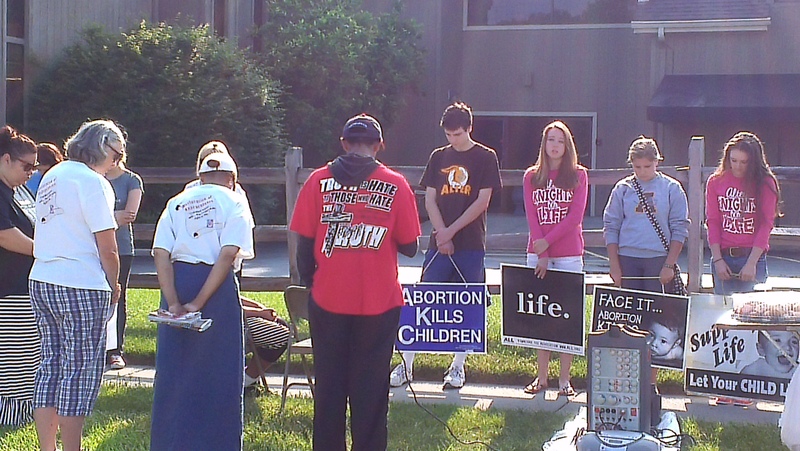 This is where being faithful comes in: The 40 Days for LIFE vigil will continue while the facility is closed. No killing this week is just a step in the walk of what we do. We go to the sidewalk every day hoping to see Life in the eyes of the moms, not death. They won’t be here this week but they will be prayed for, nonetheless. Abortion facilities close for ONE REASON: MONEY. Now, how they get to the point of total closure is up to prolifers, churches, politicians and citizens. When we show up on the sidewalk we show the side of LIFE to abortion minded moms and coercers. This is not a game, we are not keeping score, we are sorrowful when they choose abortion death. If we take video for any reason it is to protect us in case of an altercation or potential altercation. A ‘potential’ altercation happened today…on a day that the facility is closed, which is very strange to me BUT it proves that EVERYONE pays attention to what we do. A man stops at the stop sign and tells us the tried but true: “Don’t you have a job?” LOUD AUDIBLE SIGH. Seriously? How pitiful is that. He decided to engage, still in his car, with one of us which is when I fumble for the camera – just in case. The pen AND the camera is mightier than the sword! OBSERVATION: I would also comment that if you decide to stop and engage with people on the sidewalk in a bold and intimidating manner, expect to have your photo and video taken. I know it’s crazy to you, but the law does protect us from physical harm and I don’t mind prosecuting. And while the abortion facility is closed, death was still there waiting to be picked up in a red tub. 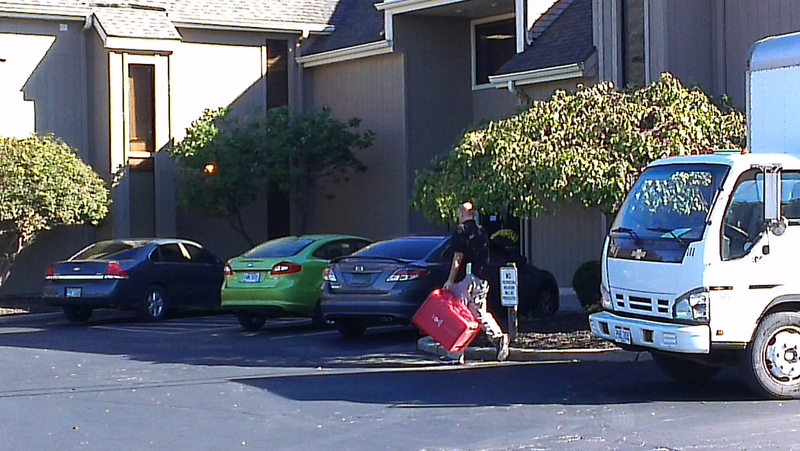 The ‘medical waste’ truck showed up to take the aborted babies from last week while we were having a ‘conversation’ with the man that stopped today. He said that it is medical waste, not babies…and he said that he works in the medical field. How do doctors, nurses, physician assistants, etc not know or admit when life begins? When he left, we prayed for him. The only joy we have in being on the sidewalk is that we are fulfilling the mission and commission God has for each of us. There are times you will hear a ‘joyful noise’ on the sidewalk and wonder why we are happy in the face of death. God girds us and fills us to overflowing with the joy of the Lord and His Salvation. We go to the abortion facility with great hope that we can reach abortion minded people with the Gospel. Next postBECAUSE I SAID SO.